Mind the flow. That goes for the metaphorical waters of our spiritual lives as well as for our social and ecological responsibility. The ease and cheapness with which a flick of a faucet gives us water on demand might lull is away from mindfulness of where it comes from. Americans use more water than any other culture in the world, much to quench what’s now our largest crop—the lawn. Here in Florida, the New York Times reported a few years ago, the average Florida household uses 75 percent of its total water use outdoors. About 14 percent of average household water use is never used at all. It leaks out of our pipes. Mostly our water use is not mindful. Most Americans cannot name the river or aquifer that flows to our taps, irrigates our food, and produces our electricity. And most don’t realize these freshwater sources are in deep trouble. The lesson here, as everywhere in life, is look at the flow. Where’s it coming from? Where’s it going? Be curious. Investigate. There is an issue here. We have a planet covered in water. It is the most widely occurring substance on Earth by far. Moreover, we don’t destroy it by using it – it just flows through. So how could there be an issue? 97.5 percent of the planets water is saltwater. Only 2.5 percent is fresh. And two-thirds of the fresh water is trapped in glaciers and permanent snow cover. So less than 1 percent of the world’s water is available for human use (Barnett 42). That’s still a lot of water. Yet, worldwide, 9,500 children die every day because of lack of clean water. It’s not that they’re absolutely dehydrating, but they aren’t able to fight off various diseases because they don’t have enough potable water flowing through. By 2025, the number of people without access to freshwater is expected to exceed 2.6 billion. 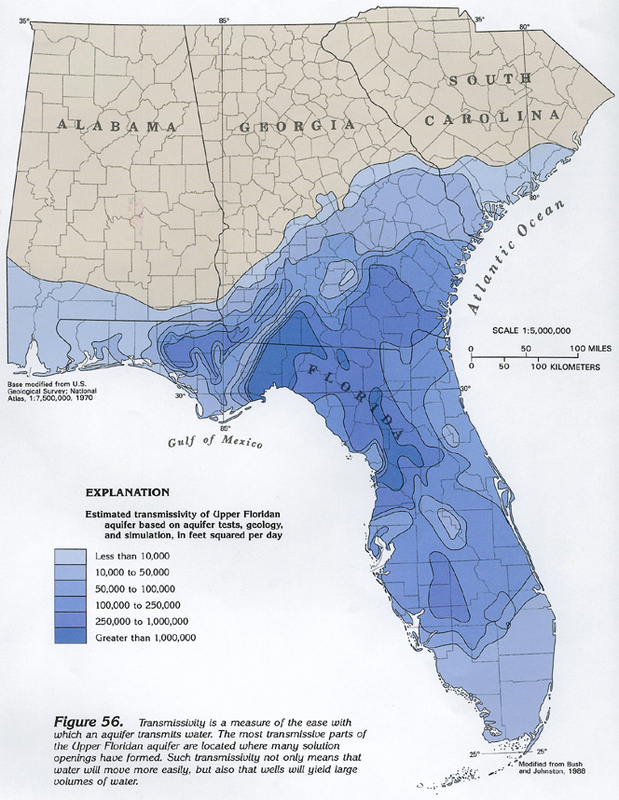 More locally, the Floridan aquifer, as many of you know, lies underneath all of Florida and southern parts of Georgia, South Carolina, and Alabama. Not all of Florida draws on the Floridan aquifer – but a lot of the state does, including Gainesville, Daytona, Flagler Beach, Tampa, Jacksonville, Ocala, Orlando, St. Petersburg, Tallahassee, several municipalities in South Florida, and numerous rural communities. Aquifer depletion is a problem. Long, long before our usage would drain the aquifer dry, the reduced levels will draw in salt water from the ocean. So we're not talking about "when will it go dry?" We're talking about, "When will it become undrinkable" -- and that'll happen a lot sooner than going dry would. The actual level does drop some, in some places, which increases the risk of sinkholes swallowing our homes. Global clean water issues will take a concerted attention by the world’s governments. US water shortages, however – especially in the Eastern half of the United States – are not that hard to come to grips with. It mostly takes paying attention – which we haven’t much tended to do. We have people who are very concerned about global warming and CO2 and the harms of oil drilling, and they’re willing to pay $30,000 for a Prius – a hybrid car to get really great gas mileage and cut down on those environmental impacts. And then they’re washing it once a week in the driveway next to their very green and well-watered lawn. We can do this. We can learn to pay attention to being blue the same way we have learned to pay attention being green. Many of us, evidently, have already begun. This is part 3 of 5 of "All Dried Up"
Next: Part 4: "We Can Do This"
Previous: Part 2: "Don Quixote's Path of Least Resistance"
Beginning: Part 1: "Flow Like Water"